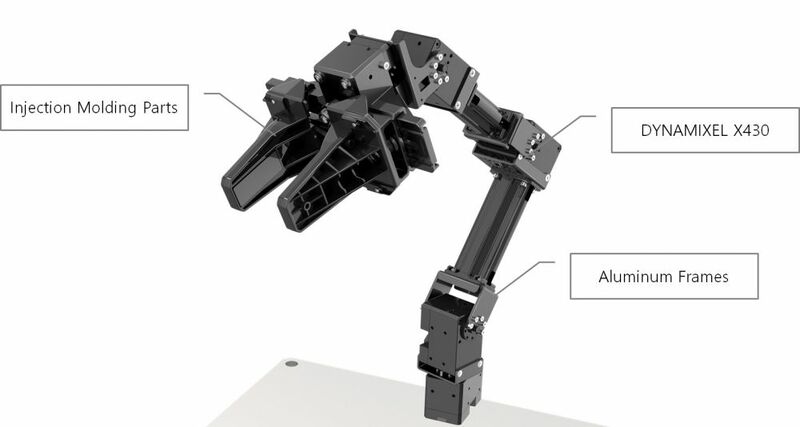 Compact open source robot based on ROS. 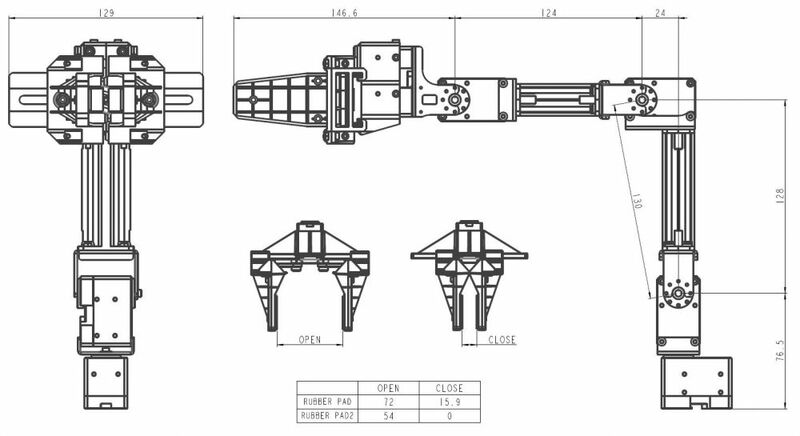 The assembly manual is not included, but you can download the PDF file on online for free. 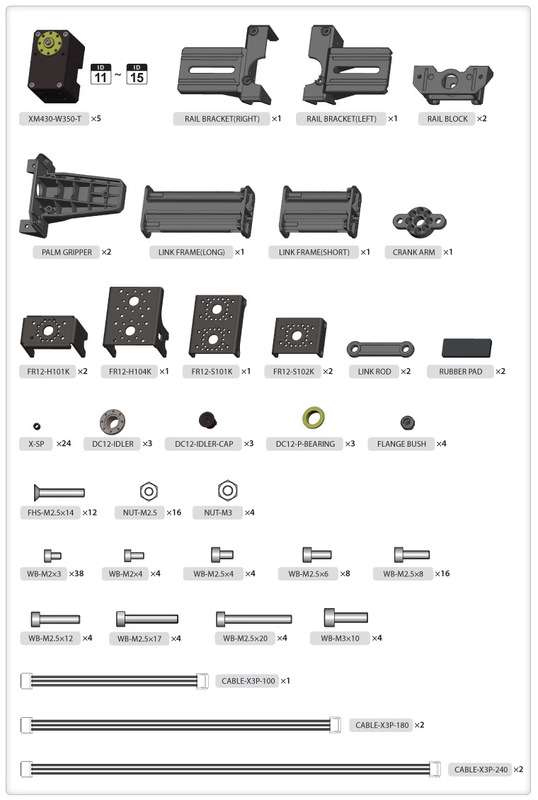 The necessary idler set (HN11-I101 Set) is included in case you would like to use XL430 as a hinge.